Beginning in 2013, the Church has published several "Gospel Topics essays" "to gather accurate information from many different sources and publications and place it in the Gospel Topics section of LDS.org, where the material can more easily be accessed and studied by Church members and other interested parties." The original Gospel Topics essays were published in the 1834-1835 Messenger and Advocate in Kirtland, Ohio. Written by Joseph Smith and Oliver Cowdery, President and Assistant President of the Church respectively, these essays dealt with many of the same issues that arise today. Joseph recognized the importance of these essays and had them copied into his own history as part of his life story. He had them republished in every Church-related newspaper in Nauvoo, Philadelphia, New York, and England. They were published in a special pamphlet. Later, they were republished in Salt Lake City by Joseph F. Smith, Second Counselor in the First Presidency. 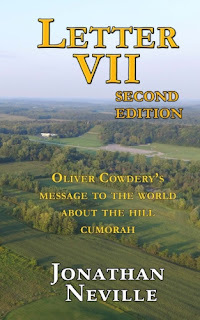 The letters dealt not only with Church history, but also what it means to be a prophet, how the Restoration fit in with the Old Testament prophecies, and, of course, the real-world setting of the Book of Mormon, with Cumorah in New York. I think members of the Church should read President Cowdery's letters today just as they did when Joseph Smith was alive.